mielkemanor; If your tractor has allways been stored in a heated building you could probably strech your oil change a bit. I noticed you're from CT. where the winters can be cold and nasty. During the winter and especially during spring months a lot of frost can collect inside an engine or transmission, when the weather warms above freezing enough to warm the engine above freezing the frost melts and runs down in the oil, it doesn't take long if you're not using the tractor enought to warm it up fully and evaporate the water out of the oil to gather more water than you'd think. 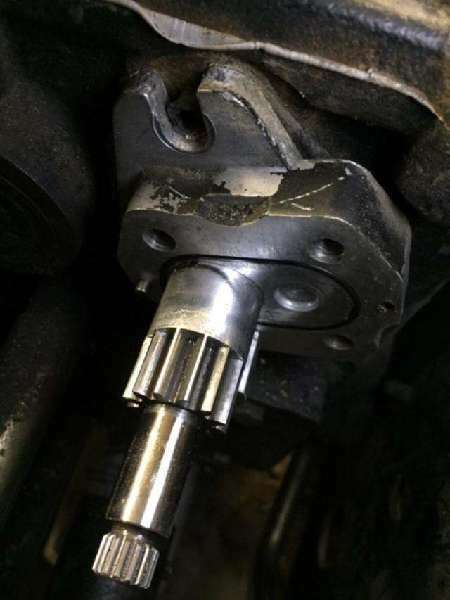 One easy way to check is to loosen the oil drain plug enought to turn it with your fingers, turn it slowly till it's just holding by a thread, if water comes out first before oil I'd change it now, a couple tabelspoons isn't unusual for an engine that sees little use. That's also an easy way to check for an internal collant leak, let an engine sit overnight, do the same with the oil plug, if antifreeze comes out first, then it's the famous two words, "O- S---". Those are my thoughts, others may chime in too. Frank. I can't imagine that you can hurt anything with fresh clean oil. I would get the engine up to operating temp before changing though. If your tractor is like mine it only holds a couple of quarts so it would be hard to spend three bucks on the whole deal. And since your main concern is water contamination (and its attendant acid creation) and the hours are so low... it would seem to me that you could keep the oil filter in place until you hit the fifty hour mark. You really got to get more seat time! more seat time this fall when I rebuild my wood lot roads. Fresh oil is always good stuff, but make sure you change it again at 50hrs. This will assure you have fresh oil after the engine has gone though it's break-in. Everything isn't quite settled in yet. mielkemanor, oil changes and fresh clean oil are good things but not always. Many diesel engine manufacturers use a break-in oil for the first oil added to the engine. This oil is a specially blended oil that aids the seating of piston rings and the break in of moving parts and bearings. Many dealers recommend leaving the factory fill oil in the engine for the full 50 hours and in some cases where ring seating is not complete; they will refill the engine with break-in oil at the 50 hour mark and run it another 50 hours. Deere recommends running it for the first 100 hours in new, overhauled, and remanufactured engines. Worst case is that the engine consumes more oil and a longer break-in period is required. I ran the factory fill oil in my 4410 for the full 50 hours recommended and then changed it as per the owner's manual. You could always change the oil now and put in more break-in oil. The JD dealer here has break-in oil on their shelves.